The title of this article is enough to describe what this article is going to be. In this article, I am going to discuss some of the sure-fire techniques to boost your Organic (or Search Engine) traffic tremendously. It is going to be a very detailed and in-depth article and therefore a massive one of around 2000 words. So do ensure that you have an hour to spare before starting to read this article. Without wasting your precious time here, I would like to jump straight into the article. But before that, I can assure you that this article can prove to be a game-changing article for all those who are new to the SEO world. Even if you are experienced in SEO, then also this article will prove to be a very resourceful and interesting read for all of you. You probably have heard of this saying before also, but I am going to give you a slightly different insight to it. The first and the most important thing in SEO, is Content. Everything else comes after it. Many of us concentrate too much on building links, and forget the most basic and fundamental aspect in SEO, i.e. Content. Nothing can replace a well-written, thoroughly-researched, resourceful and human-intended article. Google uses various algorithms to interpret what you have written and understand it just like a human does. But an algorithm can never replace the power of human minds. Humans can understand and judge whether a content is good or not, much more efficiently and correctly than an algorithm. Humans can also verify the authenticity of your content, whether the information you provide is correct, useful and helpful to the readers. Always try to write content for the readers and everything else will follow naturally after that. People are interested in information and that is why they are reading your article and if you can provide the answer they are looking for, then you need not to worry too much on SEO. Many of us have a misconception, that on-page SEO is all about keyword density and using the target keyword in various places like H1, H2 tags, Meta Descriptions, etc., but On-page SEO is much more involving that this. Keyword Density is completely a myth in On-page SEO. You can outrank your competitors for a certain search term without even including the target keyword once in your entire article. Yes, you can do that. Google algorithms are much smarter than what you think them to be. Off-page SEO and Social Signals are something which are not entirely under your control, but On-page SEO is something which is completely under your hood and it constitutes about 16% of the entire ranking algorithm. So, why not take it much more seriously than before. I can’t go too deep about On-page SEO, as it can take about 2 articles of around 2000 words to give a complete guide on On-page SEO. I am just trying to make you aware of its immense importance in SEO and shift your focus to it. Link Building – Are You Doing it the Wrong Way? It’s true that quality content can build backlinks for you automatically, and that is what is completely natural, but you simply cannot sit back and wait for months to gain some backlinks in the natural way. You need to take some burden upon your own shoulders too. But a biggest misconception among many webmasters is that, more backlinks you get, better will be your rankings. But it’s actually not entirely true. 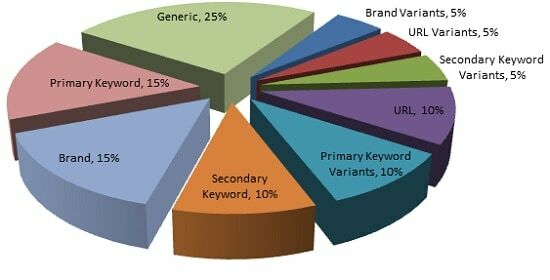 Quality of the backlinks is much more important and significant than Quantity. There have been plenty of cases when I have been successful in outranking my competitors (with thousands of links) with just a few solid and high-quality links. You need to build a proper link building plan. A goal without a plan is just a wish. So, you need to form a proper strategy and plan for link building. Many webmasters have been badly penalized by Google for blindly running behind the number of links and using black-hat and grey-hat techniques for building massive amount of links. This is something very important and also very dangerous in terms of SEO. If you know how to maintain a natural anchor text diversity for your backlink profile, then you can surely outrank many competitors and stay in the Top 10 results of Google. But if you don’t, then be ready to pay the price for it as an artificial or over-optimized anchor text diversity can do much more harm to your website’s SEO, than you could ever have imagined. It very important for you to keep things as natural as possible. Don’t be too greedy to stuff all your anchor texts with your “Exact Match” keywords. Try to maintain a good mix of Exact Match, Partial Match, Brand Name, Brand Keywords, Naked URLs, and other miscellaneous keywords. Everybody is greedy for getting high PR links. It’s obvious that a PR 6-7 link can give a huge boost to your website’s SEO efforts. But if you think rationally once, then you would understand how unnatural it seems to Google, when it see links coming from only high PR or only low PR sites. 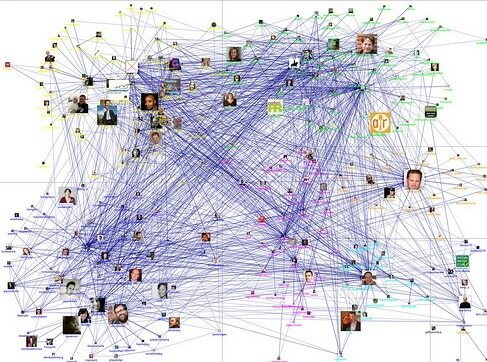 Why will all popular and powerful websites team up and start linking to you all of a sudden? And why aren’t the new sites (with low PR) ever linking to you? Yes, it seems really very suspicious in the eyes of Google if a site is having too many high PR or too many low PR links only. You need to have a proper mix of high PR and low PR links with the general idea of having more low PR links than the high PR ones as its quite natural that new sites (with low PR) will tend to link to you more than well-established sites(with high PR). Another thing that can get you Google’s attention is an unnatural Link Velocity. Link Velocity simply means the speed with which you build backlinks for your site. 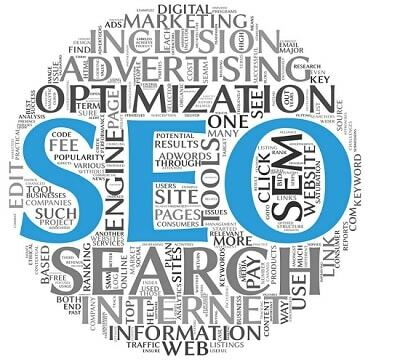 It is also a very important factor in SEO and must be taken good care of. It is never going to pass a positive and natural signal to Google, if you build too many links in a day or two and forget getting links for weeks. This never corresponds to a natural signal to Google and can easily raise red flags against you site. Many of us don’t pay much attention to Link Velocity and often ignore to maintain a consistent Link Velocity for a long time. Yes, it’s a tough job and needs dedication, but it’s too important to be avoided. If you want to sit in the top spot of Google for a very long time, then you need to give Link Velocity its due importance and I can assure you that you will get back the return gift for sure. Another very important yet overlooked factor among many webmasters and bloggers, is that they tend to build backlinks only to the main page of their website and completely forget that they have some inner pages too. It has been well-observed that sites with links scattered around all pages of the website tend to rank much better than sites which have links pointing only to the front page. It passes a strong signal of natural link building to Google. Is it natural to have links pointing only to the main page? No, never. There have been many cases, where this mistake proved to be too heavy and got the site penalized badly for this mistake. You have to understand one simple thing, that there are only 10 spots in the first page of Google and there are hundreds or thousands of sites who are fighting hard to rank their own website in the top 10 positions. So, it’s very essential for you to not just blindly work on your own site without analyzing what your competitors are doing. You have to spend some time researching and identifying who your competitors are and analyzing their strategies too. Check their backlink profile thoroughly and compare it with yours so as to understand what more you need to do to outrank them and grab more traffic to your website and improve leads. The competition is tough, and you need to fight hard for it. 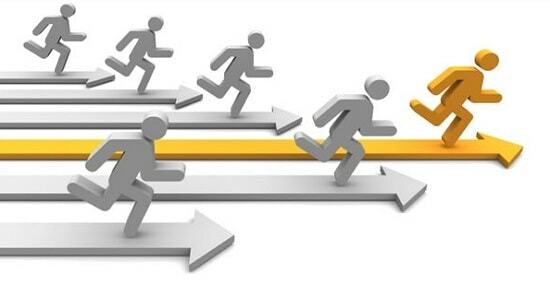 You can improve your site to a large extent by analyzing and understanding what your competitors are doing and then taking steps ahead of them. I remember a famous quote by Shiv Khera, while writing this, “Winners do the same thing, but do it a bit differently”. Relevancy of the backlinks is particularly something you need to put your maximum focus on. It’s simply useless to get a link from a “dog foods” site to a “technology and web design” based site. Just ask yourself a simple question, why will a site selling dog foods link to a technology site and what will it link to? This is what will confuse Google to decide, whether or not to pass any link juice to the website. And too many of these irrelevant links can actually do a big harm to your site anytime. There are many critical factors in SEO which are way more important than you had ever thought them to be. These things are a bit technical, but you need to understand them and always maintain the proper SEO standards in your site. There are too many critical factors to cite in this article as it can take a full article to write just about the critical factors in SEO and how to deal with them. You need to understand the concept of “do-follow” and “no-follow” links and how they work. Without the proper understanding of this, it will become increasingly difficult for you to proceed further in your SEO career. Take special care about the Duplicate and Canonical pages and also do not forget to use proper redirects whenever necessary. Now, it’s time for you to track the results. You can use various rank tracking tools and services available to track how your site is performing in the SERPs. Another myth among many webmasters is that, they expect to see traffic improvement along with rank improvement. Yes, both of them are obviously directly proportional, but not always. You may get a huge rank improvement from #300 to #55, but that will not account to any traffic improvement at all for your site. But you will get considerable traffic improvement when your rank jumps from #15 to #8 or from #5 to #1. These type of rank improvements will surely let you see a good traffic boost for your website. And do not ever get disappointed if your rank suddenly falls back by a few steps or get too excited if it jumps up by a few steps. This is quite natural to happen and this is how Google works to check if you change your link building plan with sudden change in ranks. This entry was posted in SEO and tagged Organic Traffic, Search Engine Traffic, SEO, SEO Techniques on August 5, 2013 by Aritra Roy.